Southwest Bernardia. Photo by Jo Roberts. 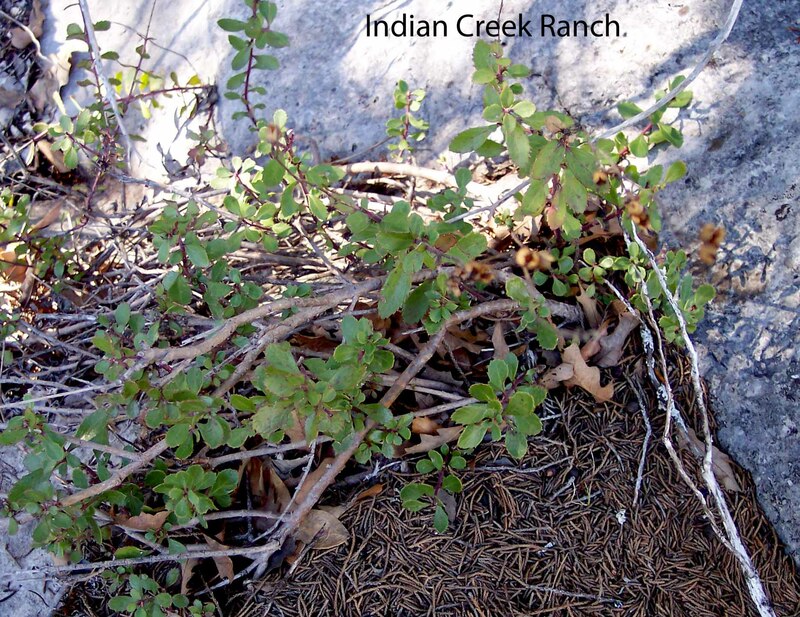 This plant, with its unusual wavy-edged leaves, is a first choice for deer, as seen in this very helpful brochure Common Woody Browse Plants for Deer in South Texas. It is in the spurge family, and its Latin name is Bernardia myricafolia. 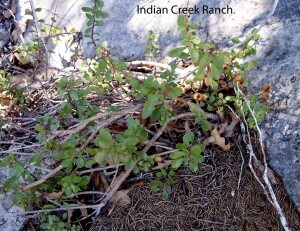 Other common names are mouse ear, mouse eyes, oreja de raton, brush myrtlecroton. Full plant. Photo by Jo Roberts. 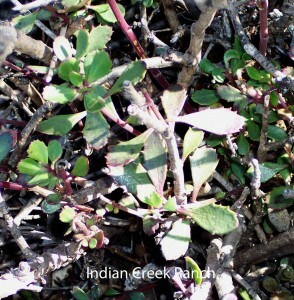 This plant does not appear in the AgriLIFE Extension books Toxic Plants of Texas or Brush and Weeds of Texas Rangelands. More information about it can be found at Texas Native Plants Database.